The Wyrd, in the Scandinavian mythology, symbolizes an infinite web whose each string materializes a being. We describe it as a network, a web made of strings which are vibrating, according to the events of life. Each event that happen could change the vibration of a destiny and can have an impact on the others parts of the web, because all of them are linked together. “Le Jardin du Wyrd (or the “Wyrd’s Garden”), is a set of 3 projects linked by the choreographers, the performers, the associates, past creation, work in progress and further one. 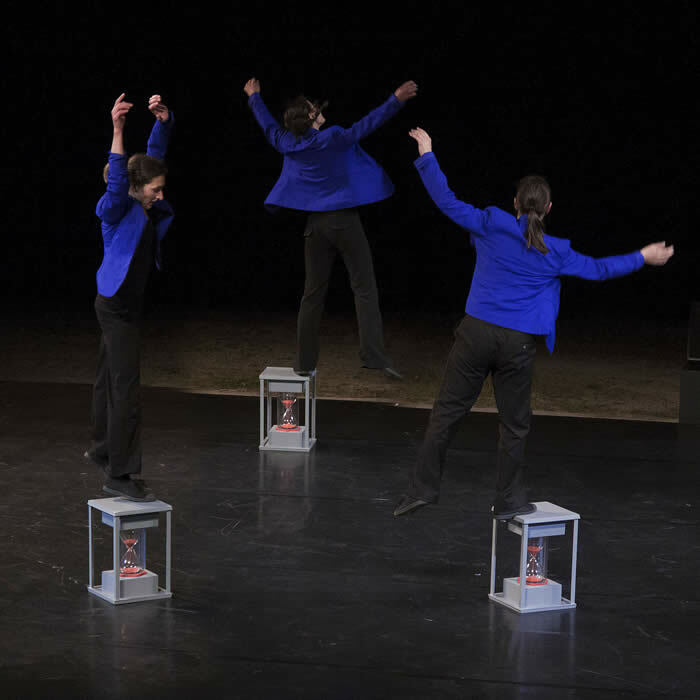 The first part, « Timing », by Karine Le Bris took place in its street version on the 9th of May in 2013 and then on stage on the 13th of December in 2014. The two others parts, “Le Ring des corps” by Fadil Kasri, the 12th of December in 2004 and “Vibrations”, dancing duo performed by the two choreographers were born through 2015 to celebrate the 10 years anniversary of the company. The 3 productions of 30 to 45 minutes each long are linked together by those interlaced strings of creation, resonances and vibrations shared together. With this triptych, the choreographers carry on their reflection on their thematic: the meeting, the “being together” and “being oneself”. This time, Karine Le Bris and Fadil Kasri are evolving into a common space, their garden, by particularly questioning the perception of time and the language itself, using self-conscious and commitments bodies. It’s a step farther to a higher porosity between arts and the outdoors, the reality. For a healthy garden, you need time and a lot of work, perseverance, patience and attentions. It offers you spaces, multiple colors and give you pleasure. We can travel in it and resource ourselves. It has to be cultivated from the seed to the fruit, again and again. For the last ten years, Karine Le Bris and Fadil Kasri have shaped their artistic garden and it’s about time again to let it in a waste land state and to sowing in it. If the research time is in the center of the creative process, genesis of the work and reflective time are difficult to quantify but are the breeding ground for new possible production. The choreographers have chosen to take their time to develop and create this fundamental material by listening to and nourish their needs. It’s as well a time to turn one‘s gaze on what have been done until now, take distance for re-axing themselves on their dancing by dissecting, understanding and enrich it, in order to re-establishing and look for another approach of “the creative act”. Within the artistic compagnonnage, since September 2011, with the *TEEM in Quimper (Brittany, France), the genesis of the two first creative projects are taking places. 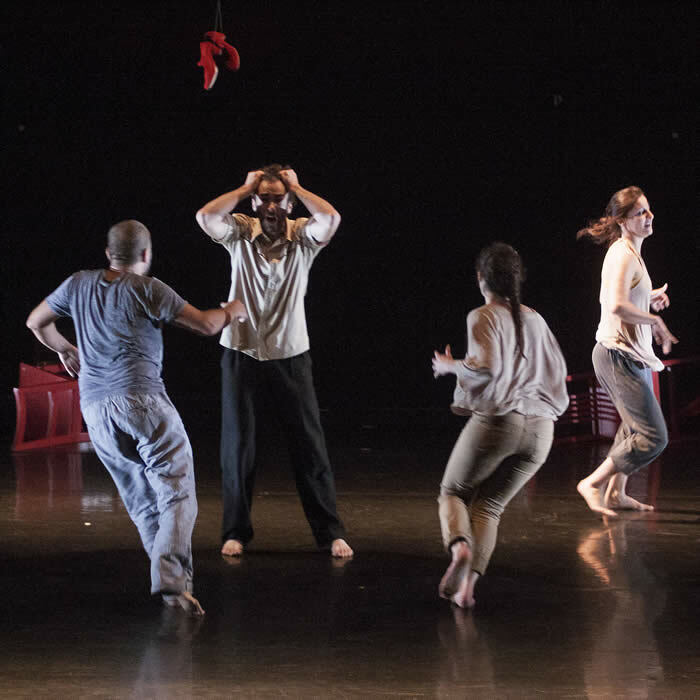 This artistic support took the form of laboratory time, with the performers of the Auditorium in Quimper, and individual’s time for each choreographer to question themselves about their own dancing and writing process. This work has lead them to questioning the « creative act » itself, to bring new tools and to clear up the two waste landing worksite in order to extract new material. *TEEM – Territoires d’Ecriture En Mouvement (or Writing Territory In Motion): Choreographic developing structure with an agreement, within his missions : to go along the artists who wish to develop their projects, to improve their working, connecting themselves and developing new networks, to interrogate their artistic approach with a new perspective.